Read full article at Complex.com here. Besides the instrumentation on this album, my favorite part is probably the combination/harmony of the verses with the hooks. The choruses are such great, well-connected segments of the song, as opposed to some hip-hop these days where the verses and choruses share no relevance. “Never Forget You” with John Legend is just such a great song; real instruments, amazing vocals, real lyrics, and of course a beautiful flow from Lupe. “Break The Chain” featuring Sway and Eric Turner has a cool, synthy track to match a nice echoey hook. The greatest thing is that I feel like I can listen to this album all the way through without being disappointed by certain songs and wanting to skip them. It’s just a well tied-together album. Lupe should really be proud that he was able to put out an album like this after all the negativity that held him back from releasing it for so long. 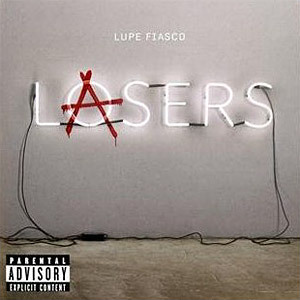 Also, the album is a great reflection of Lupe’s old sound, and yet there’s still some innovation. He’s a very talented musician. “State Run Radio” is one of my favorite tracks, because I’m such a sucker for rap & guitar. It just feels right. A bit redundant, but nonetheless a great song. 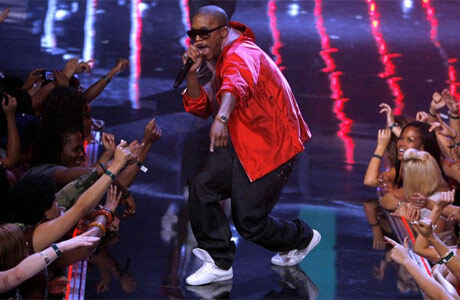 “Coming Up” is probably my favorite LUPE song on the CD – it really showcases his perfect, head-bobbing flow. Mdma’s vocals sound above and beyond on that track as well. Mdma is on a couple tracks on this album, including “I Don’t Wanna Care Right Now”, which is a really cool one. It’s different and sticks out from the other songs on the album for its interesting sound. Mdma is also on “Beautiful Lasers (2 Ways)”. I thought this song might be my favorite just because of its title (ridiculous, I know), but it turned out to be one of my least favorites. I have a feeling it could grow on me though. It has that “don’t-judge-a-book-by-its-cover-but-it-might-grow-on-you-anyway” feel, you know? “Till I Get There”. I love this one. The piano’s chord progression is killing me, it’s so beautiful with Lupe’s smooth flow. This one is probably my favorite on Lasers. It’s pure Lupe and its just great music. I don’t even know how else to describe it. I realllllly like “Letting Go” too, although it reminds me of another song that I can’t put my finger on. It’s driving me crazy! And obviously “Words I Never Said” is a great song and Skylar Grey’s voice sounds amazing. “All Black Everything”, “Out Of My Head” Feat. Trey Songz, and “The Show Goes On” were already previously Jillboarded, so check out those reviews by clicking on ze links. Glad I got all that out of my system. Congrats on a beautiful project, Loopee! (That’s what my dad calls him…lolz). Sonic-nom. Feeling this one. I’m usually feeling Lupe, but today I’m definitely feeling him. I also enjoy a Trey Songz song that isn’t babymaking music. Good change up for him. The track has some crazy synths, and Lupe + Trey are a great match sonically. Check zis one out, if you feel so compelled. Take “Bottoms Up (Remix)” home. En mi opinion, this remix is better than the original, which sounded like nails on a chalk board to me. I posted the original on my blog and immediately regretted it. This version has a sick instrumental and a good Wiz verse. I hate having Gucci in two posts in a row, but really it’s not about him. It’s not all about you just cause you yell your own name throughout your songs, jeez! Stop being so cocky boys. Mr. Steal Yo Girl? Come on now. Do I hear a new drinking anthem? Nah not really. But it’s a good attempt. 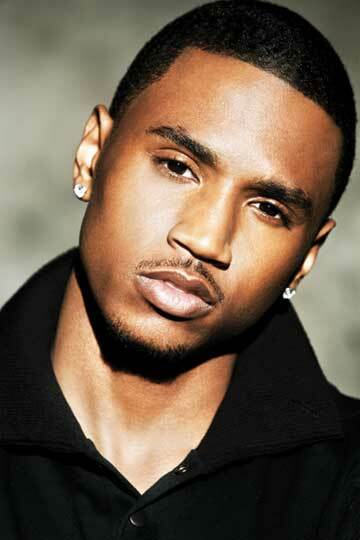 Nicki MAKES this song, because Trey, I mean “Mr. Steal Yo Girl”, really doesn’t deliver in my opinion. I think he’s very talented and this song is not a good showcase of his skills. However, does it make you want to drink now? Yea probably. I just took 4 shots.